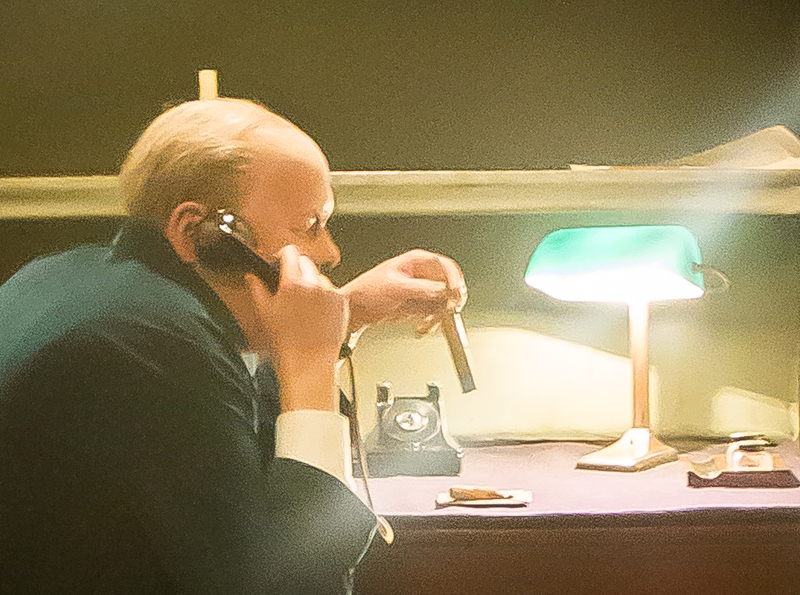 Photo taken at the Churchill Museum and Cabinet War Rooms in London. May 2013. One of many earnest trans-atlantic phone discussions between Winston Churchill and President Franklin Roosevelt, code-named “Mr. Smith and Mr. White.” He requested U.S. involvement time and again. Send war ships, Mr. President, even rusting destroyers from WWI. You mustn’t count us out. The U.S. needs Britain as much as Europe does. He did not kow-tow but he did remain persistent, and with “candor and confidence,” he made his requests and the needs of his country known (in code, though). For he knew the very fabric of his country was fraying and, if it did not receive aid and soon, it would be in grave danger of shredding altogether. And, this could not be; this could not ever be. Churchill’s unflagging determination was greater. For interesting background on the room in which these conversations took place, read this fascinating post by Art-e-facts. This entry was posted in London & Paris 2013, Travel Photos and tagged Cabinet War Rooms, Churchill Museum, FDR, Franklin Roosevelt, London, Mr. Smith and Mr. White, trans-atlantic phone call, Winston Churchill, World War II, WWII. Bookmark the permalink.